This Web site is provided as a public service by the Police Regional Office 8 (PRO8). 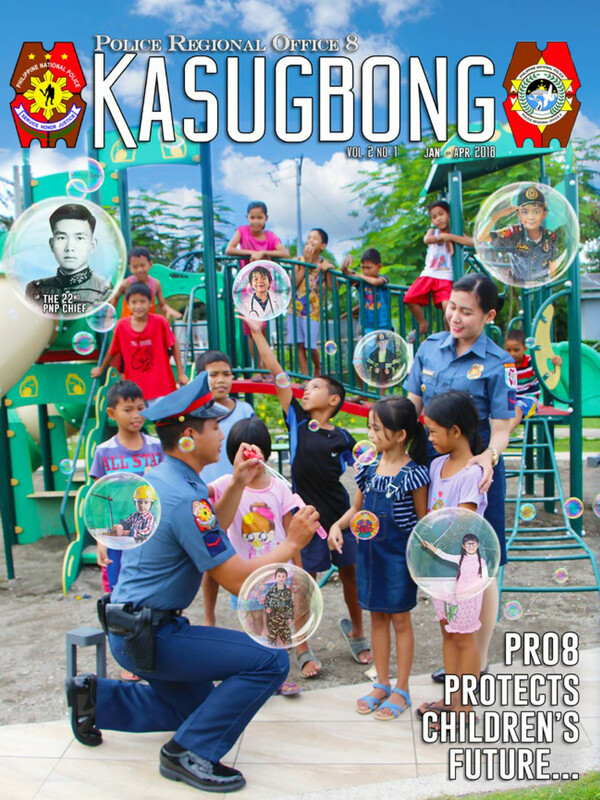 All information the PRO8 provides at this site is considered public information and may be distributed or copied, subject to Philippine and International law, which prohibit the unauthorized use of the PRO8 seal or the use of the words “Police Regional Office 8,” the initials “PRO8,” or any colorable imitation of these words and initials “in a manner reasonably calculated to convey the impression that such [activity] . . . is approved, endorsed, or authorized by the Police Regional Office 8.” Updates to the PRO8 website contents are based on information submitted by the respective PRO8 offices responsible for the information. The Police Regional Office 8 is committed to ensuring the integrity and security of the information and systems it maintains. The PRO8 has taken steps designed to safeguard its telecommunications and computing infrastructure to prevent unauthorized access to internal systems and confidential information. If you have any knowledge of a website security breach or potential security breach, please contact us at (053) 323-72-67 or proviii_ropd@yahoo.com . All information provided by the PRO8 on this Home Page is made available to provide immediate access for the convenience of interested persons. While the PRO8 believes the information to be reliable, human or mechanical error remains a possibility. Therefore, the PRO8 does not guarantee the accuracy, completeness, timeliness, or correct sequencing of the information. Neither the PRO8, the website administrator, nor any of the sources of the information, shall be responsible for any error or omission, or for the use of, or the results obtained from the use of, this information. Neither the PRO8 nor its contributors are responsible for the content of any off-site pages that are referenced by or that reference to the PRO8 Home Page. The user specifically acknowledges that neither the PRO8 nor its contributors are responsible for any defamatory, offensive, misleading or illegal conduct of other users, links, or third parties and that the risk of injury from the foregoing rests entirely with the user. Links from the PRO8 Home Page on the World Wide Web to other sites, or from other sites to the PRO8 Home Page, do not constitute an endorsement by the PRO8. These links are for convenience only. It is the responsibility of the user to evaluate the content and usefulness of information obtained from other sites. For site security purposes, and to ensure that this service remains available to all users, all network traffic is monitored in order to identify unauthorized attempts to upload or change information, or otherwise cause damage or conduct criminal activity. To protect the system from unauthorized use and to ensure that the system is functioning properly, individuals using this computer system are subject to having all of their activities monitored and recorded by personnel authorized to do so by the PRO8 (and such monitoring and recording will be conducted). Anyone using this system expressly consents to such monitoring and is advised that if such monitoring reveals evidence of possible abuse or criminal activity, system personnel may provide the results of such monitoring to appropriate officials. Unauthorized attempts to upload or change information, or otherwise cause damage to this service, are strictly prohibited and may be punishable under Philippine law. Reference herein to any specific commercial products, processes, or services by trade name, trademark, manufacturer, or otherwise, does not constitute or imply its endorsement, recommendation, or favoring by the PRO8 or the Philippine Government.